I’ve been working with John Goldingay’s 3-volume commentary set on the Psalms for a while now. I haven’t read every part (and I’m not overly familiar with Goldingay’s other writings, though I know he’s some stripe of an open theist, which is a whole other subject), but I have read and utilized it enough to register a concern about his hermeneutical methodology, that is, the way he interprets the psalms. I’ll give some examples of this in a second. The main point of my critique is that he purposely removes the messianic bent from the Psalter. He does not read the psalms in a christological way; in fact, he tries hard not to see Jesus in the Psalms. Goldingay’s interpretation of the Psalter is exactly opposite of what you find in Geerhardus Vos’ excellent essay, “The Eschatology of the Psalter.” Here are some quote from Goldingay to show his methodology. You can even see his methodological approach when you look at the scripture index in the back of the volumes – there are just a few NT passages indexed (about half of a page – sometimes less than his Qumran references). In my opinion, this is why Goldingay’s commentary on the Psalms is flat and uninspiring. The commentary sections often seem like a textual discussion with some application tacked on the end. And, as is consistent with his methodology, the application jumps over the cross to today’s context. This leaves the reader with some mundane application and even odd points of meaning for today. I’m not sure how one can, for example, comment on and apply the faithfulness of Yahweh without mentioning the work of Christ – the messianic work we already see glimmers of in the Psalter. While this commentary set might be useful for some things (Hebrew notes, textual variants, ANE references, etc. ), overall I don’t think they’re worth the seventy some dollars I put down for them. I may sell them and use that cash to get something better. For me, they do not cultivate that Christ centered apostolic hermeneutic for which I strive – in fact, this commentary set hinders it. Along the same lines, one thing that has helped me here is Carson and Beale’s (editors) fine commentary on the NT’s use of the OT, along with Vos’ work I mentioned above. Richard Muller, in Post-Reformation Reformed Dogmatics (PRRD) volume II on Holy Scripture, uses Hosea 6.7 to show two things: first, continuity between the patristic and medival commentators and Reformation/Post-Reformation commentators. Second, he uses it to show the Reformation development of the pre-fall covenant. Does Hosea 6.7 talk about Adam breaking the pre-fall covenant (covenant of works in Reformed theology) or men breaking covenant in general? Muller notes that the majority of patristic and medieval commentators concluded that the Vulgate was accurate here: ipsi autem sicut Adam transgressi sunt pactum (like Adam they transgressed the covenant) (p. 437). In the Reformation and post-Reformation exegetical tradition, while a few argued for “like man” in Hosea 6.7, most commentators stuck with the prevailing historical exegetical conclusion that “like Adam” is the preferable translation. Muller notes that though Reformation covenant theology did not use this text as the locus classicus (chief text) to prove the covenant of works, it was one of many places in Scripture that the federal theologians would use to describe and explain the pre-fall covenant. In Muller’s words, “Hosea 6.7 was not viewed as crucial to the establishment of the basic doctrine of a prelapsarian covenant, but was nevertheless almost invariably cited as an indication that the fall into sin was the abrogation of a primal covenant” (p. 438). As an interesting side note, the “minority” view of Hosea 6.7 (like man) was captured in the KJV. As another interesting side note, Muller argues (well, in my opinion) that the “majority” use of Hosea 6.7 indicates the “ongoing relationship of English to Dutch and German Reformed theology, where the tradition of translation had long favored the translation ‘like Adam'” (p. 440). It may also show the influence of the Dutch Annotations upon the Whole Bible on the Westminster divines. In simpler terms, the agreement on the use of this text to argue for a pre-fall covenant shows how the Presbyterian and Dutch/German Reformed theologians were well on the same page of covenant theology. Historical theology is a teacher. First, it teaches the importance of the history of exegesis. Second, it teaches that the Reformers’ use of proof-texts was not rationalistic. This is a great humble and careful use of proof texts: we use them, but at the end of the day if they are debatable, we use other clearer parts of scripture to make the point. We don’t base doctrines on a single, debatable text. This is exactly what we mean by the analogia Scripturae: clear and unambiguous texts are the basis for interpreting unclear or ambiguous texts. We don’t need the latter, nor bend and mold them to make our point, but we do rest on the former because they have bended and molded us to see the point. I’m looking forward to Andrew’s next post, but since he and his wife are enjoying the presence of a new baby girl (congrats!! ), I’ll attempt to fill his void with something he and I recently discussed: G. K. Beale and hermeneutics. For now, I’ll do a small trek through Beale’s intro in We Become What We Worship (Downers Grove: IVP Academic, 2008). In the intro, Beale basically lays his hermeneutical cards on the table for the reader to see. Here’s my summary. 2) God’s “authorial intentions communicated through human authors are accessible to contemporary readers.” We can’t exhaust them, but they can be sufficiently understood. 3) Scripture is organically progressive: Beale uses Vos’ metaphor of the OT as a seed and the NT as the plants growing and flowering from that seed. 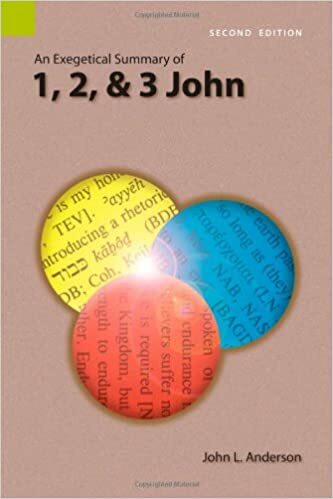 4) He combines “grammatical-historical exegesis with canonical-contextual exegesis.” This means that he utilizes literary and historical context as well as other allusions in Scripture to the passage being studied for interpretation. Scripture interprets Scripture is included here, Beale affirms. The allusion from one text echoed in other subsequent texts is sometimes called “intertextuality” in scholarly circles. There are a few other helpful notes by Beale concerning his methodology, but I want to “camp out” very briefly on intertextuality. Beale notes there are minimalists (those who are leery of seeing allusions or literary connections, and if they see them, they hesitate to find any interpretive significance to a possible allusion). There are also maximalists: those who are quite open to finding, exploring, and using allusions and letting the allusions shape interpretation. Of course there is a tightrope to walk here, and Beale makes note of it. Here are some reasons for maximalists to be careful (I’m using Beale’s examples here). 1) Eisegesis – one could read too much into an allusion. 2) All proposed intertextual allusions/connections have “degrees of possibility and probability.” 3) “Weighing the evidence for recognizing allusions is not an exact science but is a kind of art.” He later says it does involve some “guesswork.” 4) He again uses the terms “possible” and “probable” when discussion allusions. That is, the interpreter cannot always be certain that there is an allusion. 5) If there is an allusion, we cannot be sure if the author of later Scripture was “unconscious of making the reference” or “not necessarily intending” the reader to catch it. 6) The interpreter has to guard against reader-response types of “multiple meanings” and also allegory. Beale then urges the reader – even if he/she disagrees with certain interpretations – to at least appreciate the general approach and be both loving and cautious while reading, as he attempted to be cautious while interpreting. I still agree thus far, but a few times in the intro it felt as if Beale was not exercising as much caution as he emphasized (see list above). Perhaps there is a[n] “[over]confident maximalist” and a “cautious maximalist.” The latter seems what Beale wants to be, while he admits he may slide into the former. Interesting stuff. Of course my verdict is still not in; I’ll continue through the book and write more later. Let me end by saying the introduction was lively and stimulating, well worth the read, as Beale usually is. This post is a plea for students of the word to use Systematic Theology books (Berkhof, Bavinck, Turretin, Hodge, etc.) when studying passages in Scripture. Here’s one example why it can be helpful. 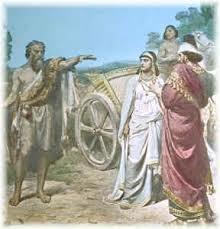 In 1 Kings 21.27-29 the Bible says wicked King Ahab “humbled himself” (ESV; nikna in Heb). After studying that phrase, the context (rest of Ahab’s life), and other passages in Scripture, I was pretty convinced that Ahab did not repent in the Ps. 51 sense of the term. So while I was wrapping up my studies on this text, I grabbed Turretin and looked in the index at the end of vol. III. Sure enough, I found that Turretin worked with 1 Ki 21 several times. He talks about it under his discussion of Holy Scripture, showing how genealogies in Scripture (specifically Matt. 1) have gaps in them, sometimes to “write out of existence” bad kings; helpful, but not specifically what I was looking for. Turretin also talks about 1 Kings 21 in his refutation of the Socinians: God has foreordained an exact time/date in which a person (all persons) die. Jezebel and Ahab are used by Turretin as an example. Again, helpful, but not what I was looking for. That’s what I was looking for. A “mini-commentary” on this text. Turretin in a few lines affirmed what took me quite a bit of textual work to conclude. Turretin wasn’t guessing or simply being rationalistic! He did the text work before me – on this and other similar passages in Scripture. As Muller reminds us in PRRD, many of these theologians had years and years of biblical training (languages, history, etc.) before they wrote their theologies. Their training back then can and does help us now. Of course, I do not suggest we use ST books primarily, or first, in our studies. They should be used later (if you’re a preacher – on Friday!) as we study a text or passage in Scripture. Main point: use the Scripture index in the back of your favorite ST’s often! You might even want to copy/xerox them to save the time of flipping through so many books on your shelves.